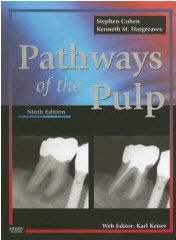 Completely updated to keep you absolutely current, this comprehensive reference remains the definitive text for practicing endodontists and general dentists. The ninth edition offers a superb new full-color design and integrates the latest evidence-based research for clinical treatments. It includes coverage of the latest devices and techniques including endodontic instrumentation, obturation, and surgical and retreatment procedures. Providing the latest in treating endodontic infections and pain, and in establishing differential diagnoses, this is a one-stop resource!